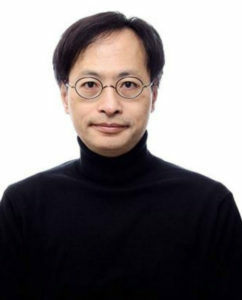 Dr HyunSook Chung is a senior executive producer at Educational Broadcasting System (EBS), Korea. 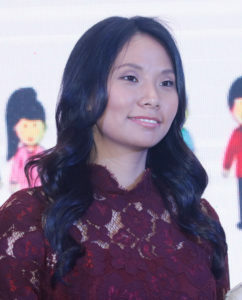 She started her career at EBS as a TV producer in l987, and has been active in the field of international educational media for over 15 years – first as a secondee to the Asia-Pacific Broadcasting Union (ABU) to set up international coproduction specialised in Asian children’s programme development, then as a project manager at the Asia Pacific Institute for Broadcasting Development (AIBD) during the period of 2006-2008, and since 2004 as chairperson of the ABU Children’s Programme Working Party. In 2004 HymSook initiated the first Asian drama coproduction Season, executive-producing the series for 3 years; and between 2010 and 2012 she was Director of the EBS International Documentary Festival. Since 2002, HyunSook has run children’s programme production workshops in many different Asian countries and served as jury member at a number of international festivals including Japan Prize, Prix Jeunesse, Documenta Madrid, the ABU Prize, the AIBD Prize and the BaKa Forum. 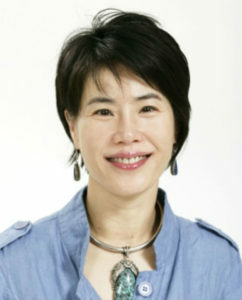 After a two year break in the UK to complete a PhD (on global dynamics of education policy) HyunSook returned in 2015 to her Specialist field of international children’s programme development, executive producing an Asian children’s documentary coproduction Baby on the Way Season 1&2, and now in preparation for a feature length documentary about parenting issues. Tanaka worked for Music & Theater Programs Division, NHK Kyoto, and the Hi-Vision Program Department before becoming involved in educational program production. The music education program, Wagamama Orchestra (Selfish Orchestra), was nominated for an international Emmy, and Mathematica, a math education program, received the Minister of Internal Affairs and Communications Prize at the Japan Prize. Other programs include the Classroom to the Future project of lessons recorded by famous teachers around the world, the co-produced international environmental education ABU Voyage to the Future project with Seven other Asian countries, etc. Overview of the Talk: the JAPAN PRIZE, hosted by Japan’s public media NHK, is a unique competition for their strong focus on educational value of the contents. Mizuto Tanaka, the Secretary General of the JAPAN PRIZE Secretariat will introduce Some of the Selected works from this year’s competition in October and share their future vision about how the media can communicate to the world from the aSpect of learning. At only twenty-nine years old, acclaimed for her five feature films and praised by the Los Angeles Times and New York Times, Livi Zheng is a force of nature. Livi’s directing debut, Brush with Danger, was in contention for the 87th Academy Awards, Oscars. Brush with Danger was distributed theatrically in the US and internationally. Livi Zheng started her career a stuntwoman due to her love of martial arts. Livi won 26 medals and trophies in the US including at the US open. 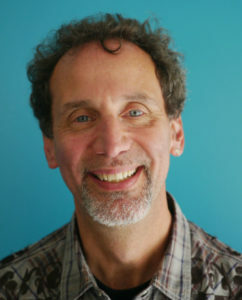 After earning a degree in Economics from the University of Washington-Seattle Livi went on to earn a Master of Fine Arts degree at the University of Southern California’s School of Cinematic Arts. Livi has been a guest lecturer and speaker at 30 universities worldwide, including Yale University, University of California-Los Angeles, University of Southern California School of Cinematic Arts, New York Film Academy, Communication University of China, and the University of Indonesia. Teaching has always been her passion since she was in middle school. Recently, Livi spoke and launched Bali: Beats of Paradise, her latest feature film teaser at the World Bank Headquarter, Washington, D.C. at the 2017 Annual Meeting of the World Bank Group and the IMF. Bali:Beats of Paradise is set to launch theatrically in the US at the end of 2018. Currently, Livi is finishing her next action-thriller, Insight, that was shot in Los Angeles. The film stars Keith David (Armageddon, Platoon, The Chronicles of Riddick), Tony Todd (Candyman, Final Destination), John Savage (The Godfather Part III, The Deer Hunter), Sean Patrick Flannery (The Boondock Saints) and Madeline Zima (The Nanny, A Cinderella Story). 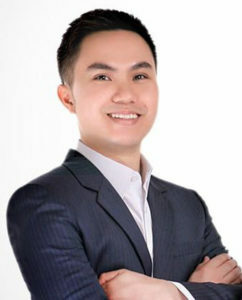 Oli Laperal, Jr. established the rental and production company in the I980’s. Today, RSVP is responsible for the rental and production of hundreds of local film spots for all the major advertising agencies, foreign feature films, documentaries, MTV’S and news strings. Laperal operates the largest, most complete and most comprehensive film production facility and rental houSe in the Philippines. Laperal is very experienced in coordinating & facilitating local and foreign filming requirements, securing government and military permits, importation and liaising with various government agencies. Laperal was born in rural Philippines in I950. Took up Electro mechanics in ’67, Engineering College Manila ’69, Cornell University New York BS. Hotel Administration with Honours ’73, published operating manual for the Statler Hotel, various scholarships, MBA graduate degree, major in Marketing and Finance ’75. 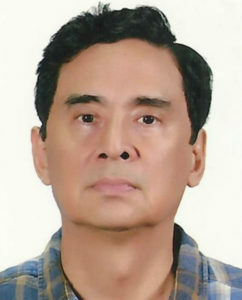 Laperal has worked in many hotel chains in the USA, Canada and Asia, and was a Credit Manager, International Division in Chemical bank of New York in Wall St. During the early 80’s in Manila, he worked on Banking and finance, insurance, stock brokerage, golf course management and real estate development. After a minor involvement in Francis Ford Coppola’s Apocalypse Now as a PA. and extra, Laperal decided to devote time to his hobby and passion: video and film production.